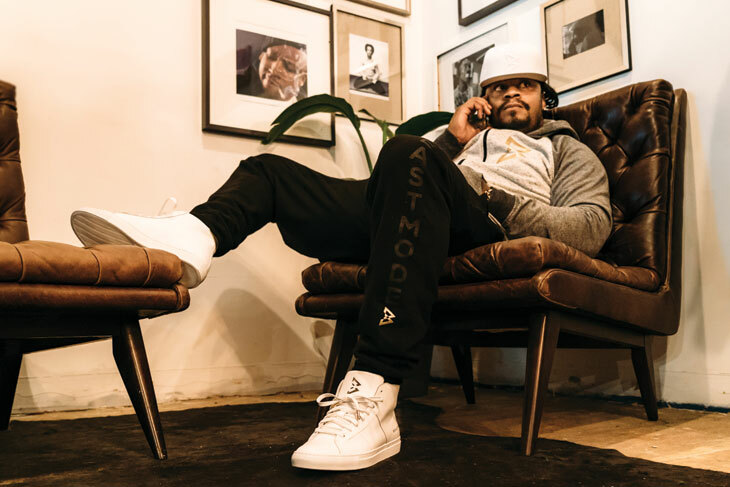 Between leaving the Seahawks to “retire” from football in 2016 and joining the Oakland Raiders in 2017, Marshawn Lynch connected with mobile-industry veteran Leigh Hunt to launch Beast Mobile in September of this year. Thank you, social media, for occasionally revealing untold beneficence. To say it’s a cell phone network isn’t entirely accurate; Beast Mobile is a brand partnership between Lynch and Hunt’s startup FreeMo. FreeMo is an Android-based app that delivers ads to the home screen of users’ phones, currently on the Sprint network, in return for a $5 per month reduction in monthly bills. Further user engagement with videos, games and other mobile ad experiences served by FreeMo further reduces the bill. Monthly fees for Beast Mobile start lower than other plans, so potentially a user who engages in enough advertising could see a bill for zero dollars—or even make money from the service. The Phones for the Homeless program, as the company calls its philanthropic endeavors, came out of the blue. Bryon Sheng, Chief Marketing Officer at Beast Mobile and Lynch’s longtime business associate, says he and Lynch learned that an old childhood friend was buying phones from an Oakland store, preloading them with three months of service and handing them out to local homeless folks. The idea dovetailed with work Lynch was already doing with his Fam 1st Family Foundation, so Beast Mobile acquired 3,000 phones and is now working with nonprofits like the United Way of Seattle to distribute them to homeless people. Sheng points out that Lynch graduated from University of California–Berkeley with a degree in social welfare. Sheng and Hunt admit that Lynch’s notoriously mercurial personality presents PR challenges, but they see it as an asset.